Today on the Google home page is a Google logo, Doodle, for the Statue Of Liberty. 130 years ago today, the Statue Of Liberty reached the New York port safely. It was on June 17, 1885 on the French steamer Isère that it was delivered to New York. The dedication happened later on October 28, 1886, after it was unloaded, set up and outfitted. 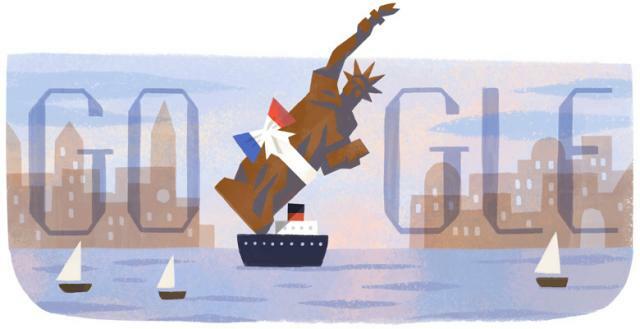 The Google Doodle today remembers the gift given to the United States from France, the ship delivering it and the docking at the New York harbor. It was wrapped in a bow as a gift.